Cowboys have had 2 years to work out a deal with Lawrence and has failed miserably. Putting the tag on Lawrence is just gonna keep him away from offseason programs and he has stated that he will prolong his surgery (SMH) till he has the guarantees. If you think you are making a run at a championship then you get Lawrence signed. But then again we are so deep at DE with Armstrong, Taco, and Crawford. Going to get some Tums after reading this post. Does everyone remember the thread last year? There was a poll and we were all asked if we should sign DLaw long term or tag him last off season. Almost everyone voted tag. I voted sign long term, and made the point that he would only have to hit 8 sacks in 2018 to really sky rocket his $ value. The FO agreed with most of you and tagged him. Then Donald and Mack got signed, and DLaw posts 10.5 sacks. And now we are in a bad situation that was absolutely predictable last year. I voted tag cause I was worried about his durability. At one point I was 100% on board with a long term deal for DLaw, but now I'm not so sure. I really believe DLaw is going to cost $25m/yr. Even if he lands in the $21-23m/yr range, I'm skeptical. For that, I think Landon Collins/ET and Preston Smith/Za'Darius Smith/Trey Flowers could be had. Possibility a 3rd player if he's closer to the $25m mark. It's a gamble (big one) that any of those DEs can come close to replicating DLaw's production, but you significantly upgrade the secondary and a 3rd player, say Carl Davis or Stephen Shamar could help the iDL. Guess I'm not sure where the breaking point is with him. I'm not sure it's a slam dunk to re-sign him. I'm probably overthinking it too. $17M last year was never happening. $18M may have, though. They had to top the Vernon contract and they wouldn't. Now I think he's basically asking for the Mack deal ($23.5M/yr) and we probably haven't gone past Von MIller (19M) yet. Maybe by July they can meet in the middle around 21, but I am starting to doubt that that will happen. DLaw is looking at the stat sheet and seeing that he has out performed Mack in every category over the last two seasons. He obviously thinks he is better than Mack, even if he is the only one who does. But the numbers back him up. Do we want to be the Bears or the Raiders? Is anyone out there willing to do a tag and trade? I hear the concerns re the salary demands. Upper echelon DE's are hard to find and Lawrence knows this. If we are serious about making a run we need him signed and happy. 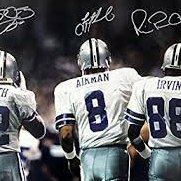 If I'm Lawrence, and I get franchised again I will not sign a long term deal with Dallas. We are damned if we do, damned if we don't. Playing with fire here. Do we want to be the Bears or the the Raiders? I think it’s well within the realm of possibility at this point. I feel like we could probably get a first for him- I'm positive we’d get more for him than Zeke. I am. With the cap space we have I'll trade him to the Jaguars for their 1st and 3rd this year and 2nd and 4th next year. What's the realistic trade value for DLaw? Mack got 2 firsts but was a former top 10 pick. I think maybe a 1st and a conditional that could accelerate to a 3rd if he hits a mark. Not only did he perform again this year, losing Gregory just helps his case.